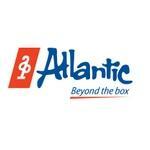 Atlantic Packaging Products Ltd offers customers total sustainable packaging solutions. Based in Mississauga, Ontario, Atlantic Packaging products and services include:corrugated packaging, flexible packaging, Color Pak pre-print, and retail displays. They also offer paper mills, supply and inventory management, and recycling. Atlantic Packaging Products provides customers with a total packaging solution. The company is owned by the Granovsky family. Products Carried: Atlantic Packaging Products Ltd provides Mississauga customers with innovative and sustainable packaging products. Atlantic Packaging Products Ltd offers a range of products, from retail displays, corrugated packaging, flexible packaging, pre-print, supply and inventory management, and paper and recycling. Atlantic Packaging Products start with fresh, innovative thinking and end with unrivaled customer satisfaction.